Customers who are interested in taking new BSNL landline connections can opt for the new plan in which they can avail discounted fixed monthly rate for next 6 months. After the period, those customers would be converted to general plan. Also, new customers can avail a waiver on installation charges. Customers subscribing to ‘Experience LL 49’ plan are also entitled to enjoy Unlimited Free Night Calls to any network between 9 pm and 7 am. The plan will be available for a promotional period of 90 days from 15th August 2016 in all 20 telecom circles where BSNL operates. • Additional Facility - Free night calling to any network (Local+STD) between 9PM to 7AM. Customers booking landline connections under this scheme will be provided a new BSNL prepaid SIM Card. This move by BSNL will surely boost its subscriber base in both rural & urban areas across the country. 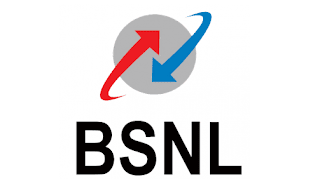 According to latest data, BSNL has more than 88 million cellular connections and enjoys majority market share in landline subscriber base.